This garage sale find jumped out at me. 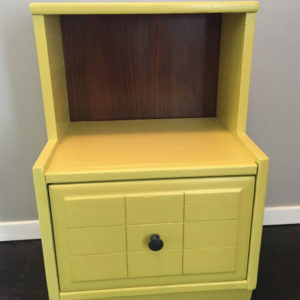 So cute and so much character! It had seen better days and needed to have a couple the top and backing replace. 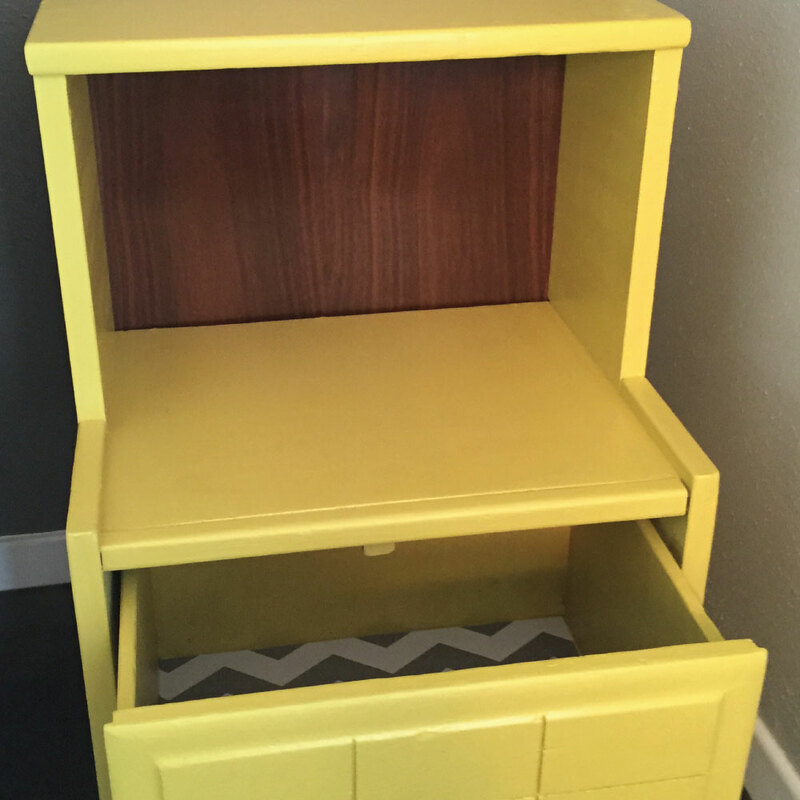 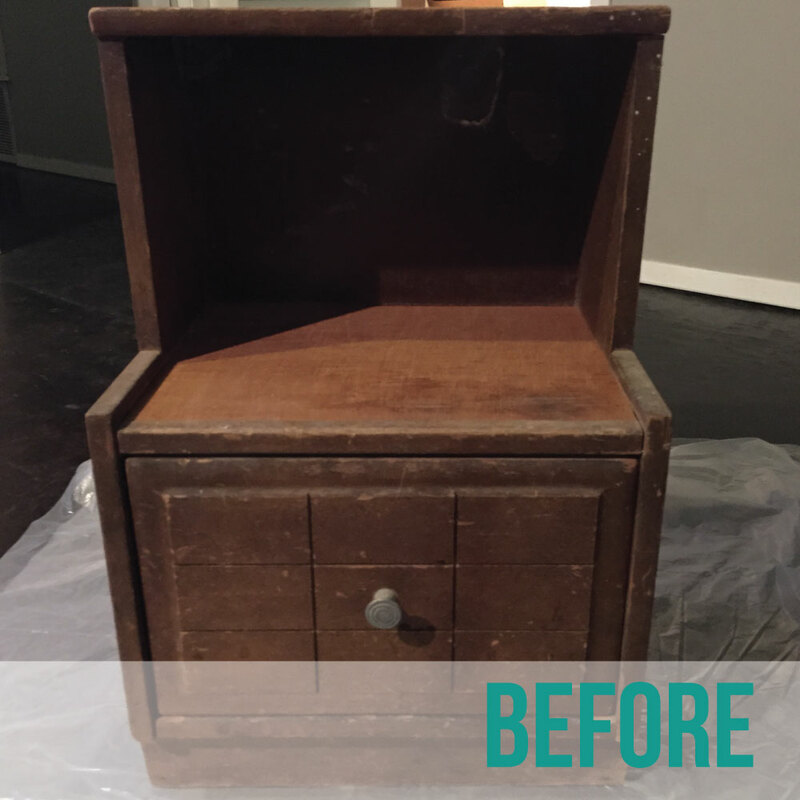 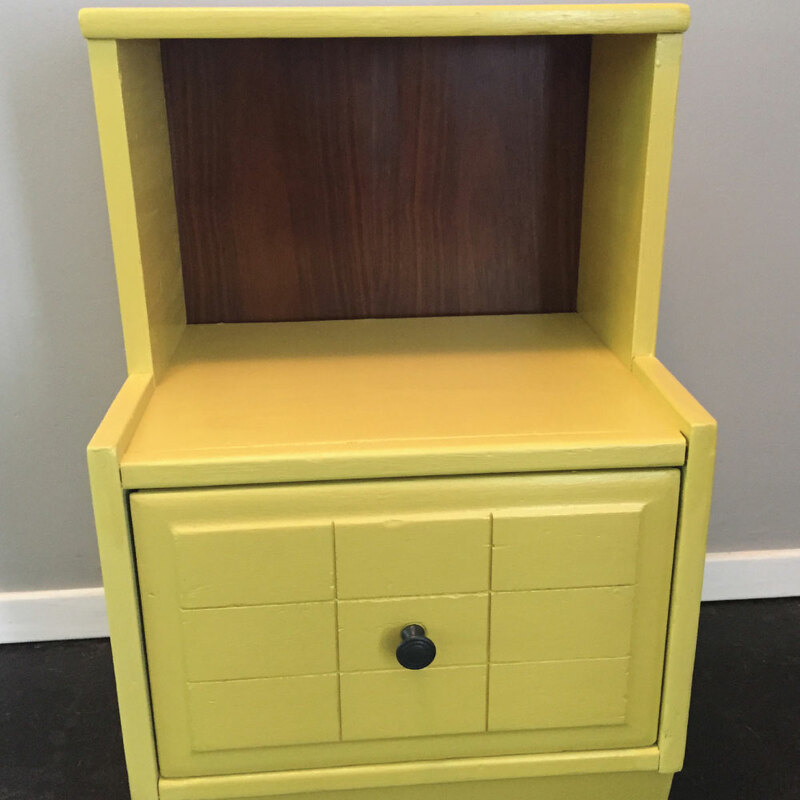 But with a little sanding and a coat of bright, yellow paint, this nightstand is looking adorable.